You will find some explanations to create a own archive, which will be extracted to allow the installation. Because the main problem is the extraction process while on Operating system deployment, what I could read about. 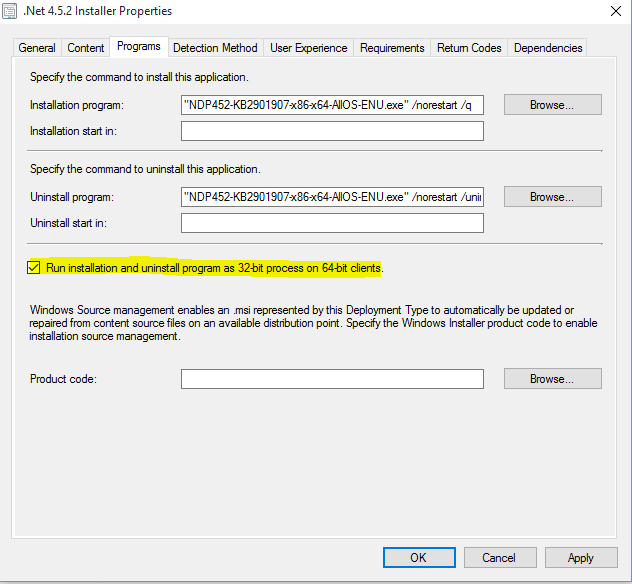 In anther Blog post (which I can’t find anymore) was mentioned to set the option “Run installation and uninstall program as 32-bit process on 64-bit clients.”. And that’s it! 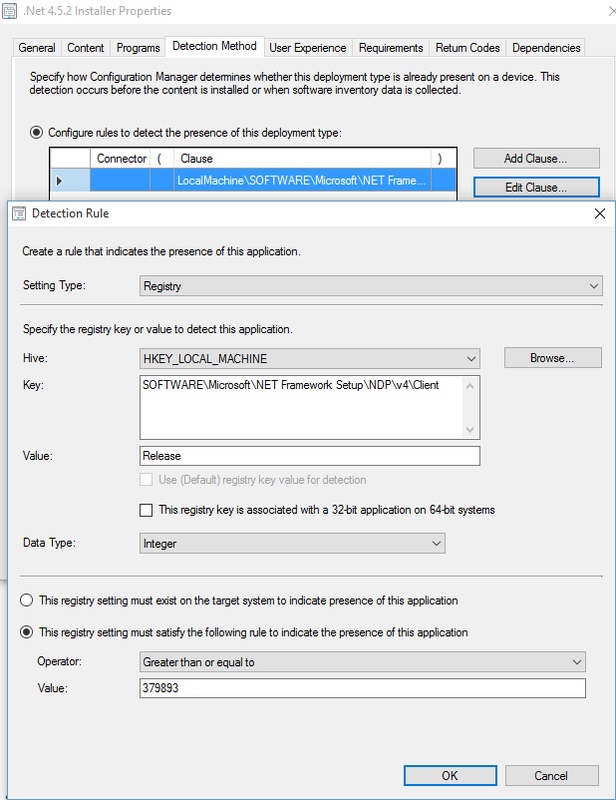 Here you will find my working .Net 4.5.2 SCCM 2012 R2 SP1 Application usable for 32 and 64 bit client installations (also OSD). I check the Registry Key HKLM\SOFTWARE\Microsoft\NET Framework Setup\NDP\v4\Client\Release for the value 379893.